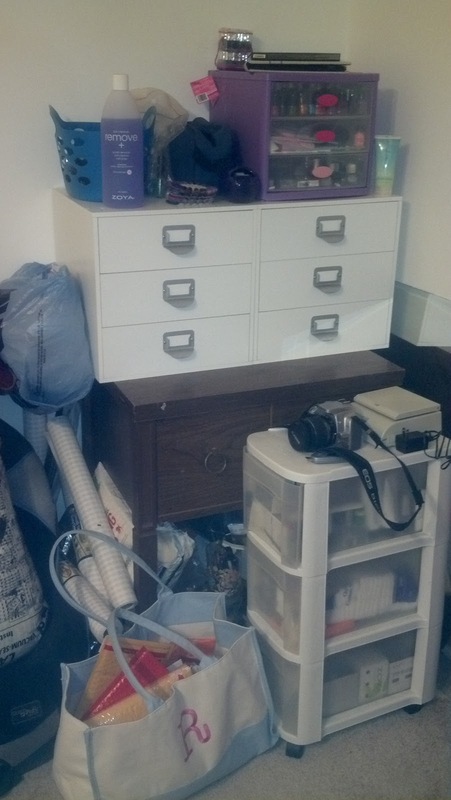 First here are my 3 drawers when I had just one melmer...as you can see, I was maxed out. You can see why I had to go by a second immediately. 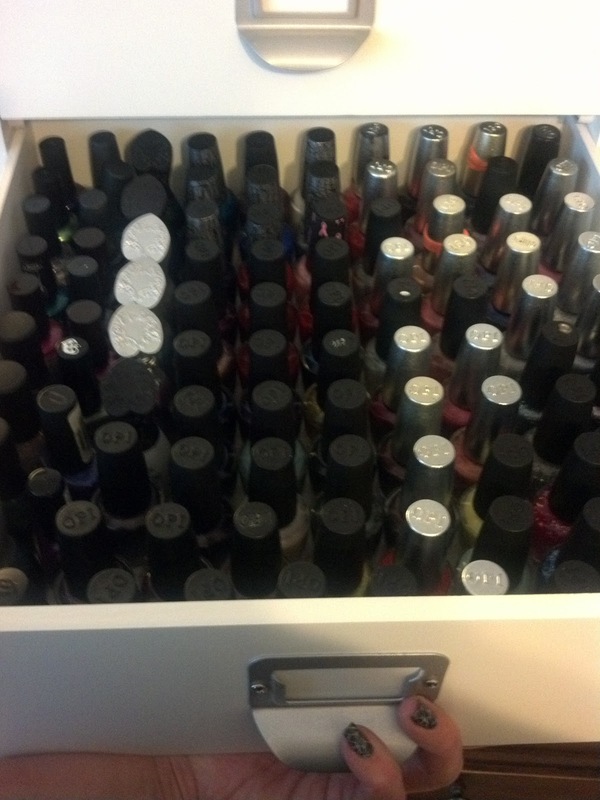 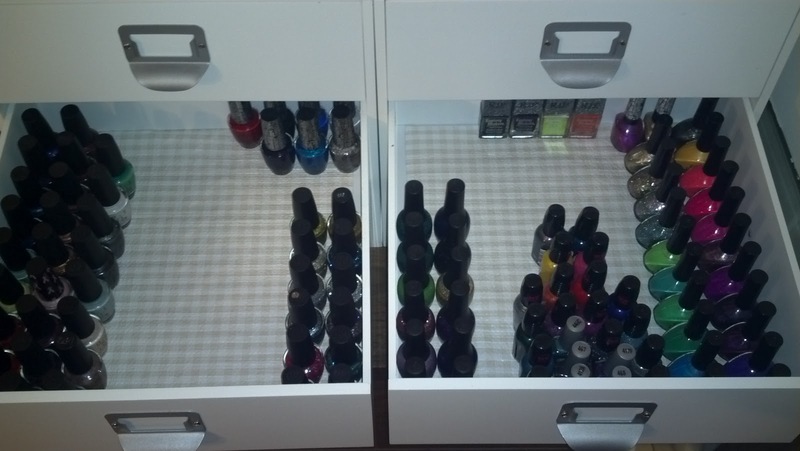 Now for my drawers after giving my beauties some elbow room. This was about a month ago and I have already filled these up and will be getting a 3rd melmer shortly.  I will post an updated post as soon as I do. 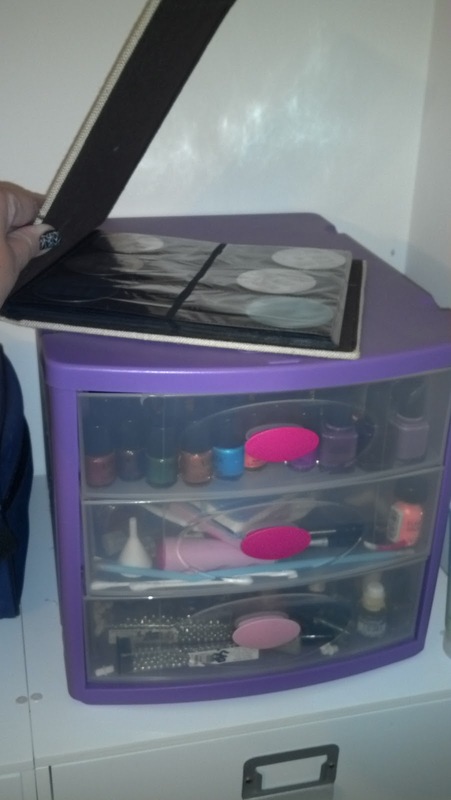 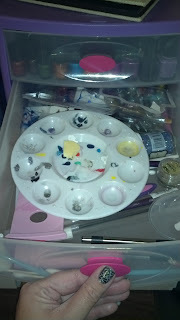 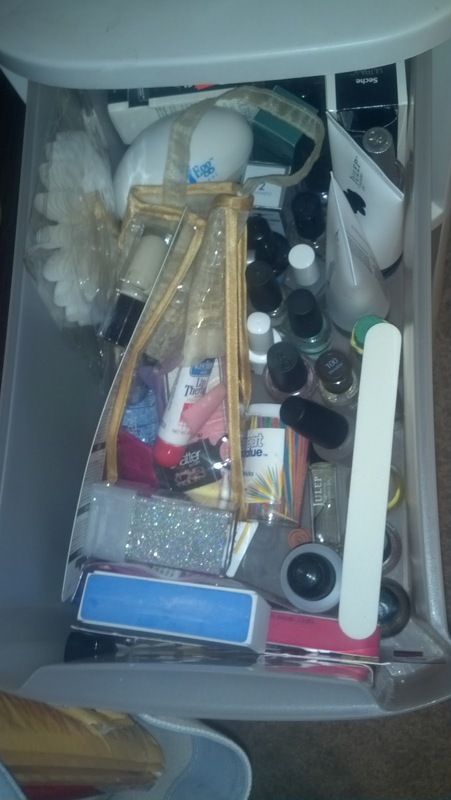 Last set of Melmer drawers has a hodge-podge of brands on the left including Revlon, Sally Hansen, Milani, etc. 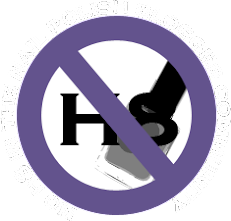 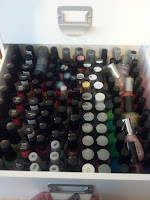 Right contains Sinful Colors and Orly. 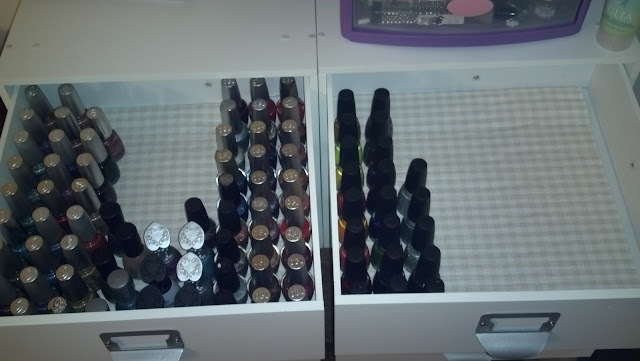 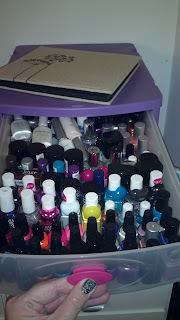 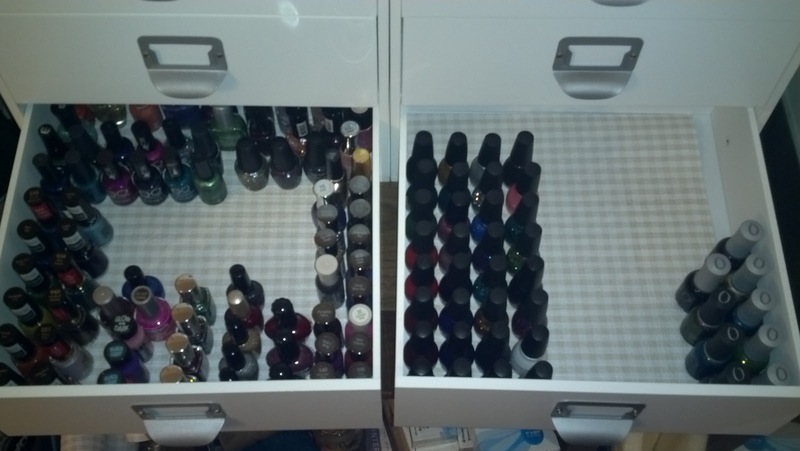 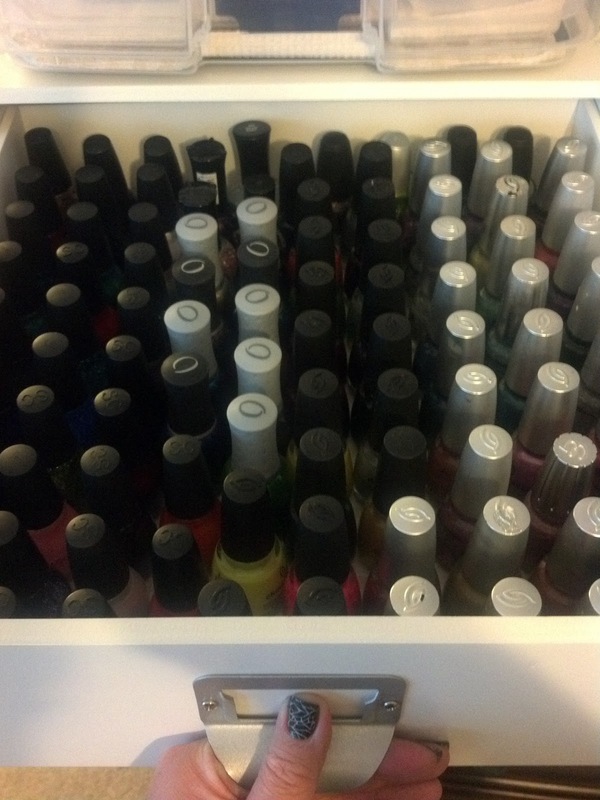 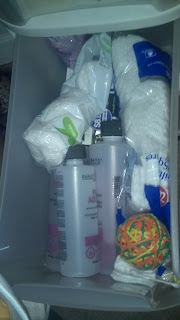 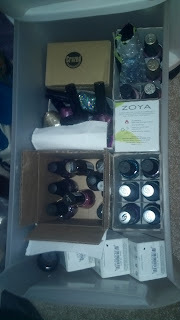 Top/base coats, treatments, acetone & Rubberband ball for those stubborn bottles and last my drawer of for sale polishes.